Are you looking for someone to handle your commercial roof repair project? 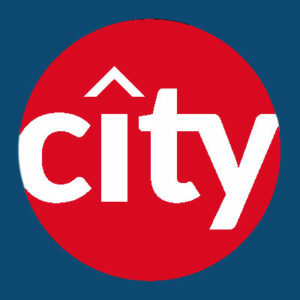 City Roofing & Remodeling has the experience to get the job done right. There are very few situations that we haven't seen; we understand many different roofing systems, and we know how to work with them to give you the roof that you and your building deserve. Your roof is an important part of your business, and it should not be neglected. Let our professionals take care of the problem, so you don't have to worry about it anymore. Most business owners value what is on the inside of their building more than what is on the outside. However, consider the fact that your roof is what protects your products; it needs to be in top condition. We provide a variety of services to provide brand new roofs to your new build. We can help maintain your existing roof avoiding costly repairs in the future. We can fix a leak, shingles, or structural damage and even replace your entire roof. We have experience with a variety of roofing types, including single-ply modified bitumen, built-up roofs, shingle roofing, slate roofing, clay tile roofing, metal roof assemblies and more. We also have experience with restoration systems and cement; liquid applied monolithic membranes, and bituminous roof cement and coatings. Let our professional inspect your project and offer a FREE estimate. If you are just starting your business, you may be overwhelmed, particularly if you are constructing a new building for your company. Take one thing off your mind by getting our professionals out to your site. They can assist you with your roofing needs and can work within your budget. Furthermore, you can rest assured that the roof will look great, pass all inspections, and provide appropriate protection for your building. Roofs are expensive. Extend the life of your roof by maintaining it over time. We are happy to assist you with this task, and we can fix any damage that may have occurred to the roof. We are also able to replace it if that is necessary. Call us today to set up an inspection. We will be happy to provide you with a FREE estimate of our services.